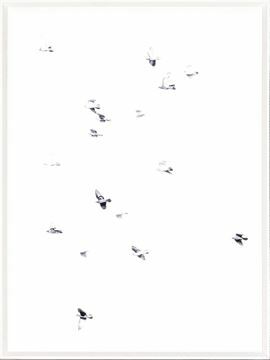 Birds on the wing in oversize acrylic. Be transported with these photographs of birds on the wing. 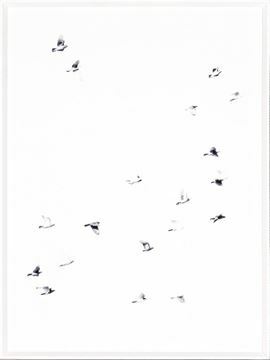 The white ground of these airy flocks will lighten your heart.